Johnson & Johnson has been ordered to pay damages to the family of a woman who died of cancer she said was caused by the company's talcum powder. Jackie Fox died of ovarian cancer in 2015, aged 62, two years after being diagnosed with the illness. Her family said she used Johnson & Johnson's talcum powder for nearly 50 years, and claimed her death was a direct result. Responding to the verdict, Johnson & Johnson (JNJ) issued a statement saying its products are safe. 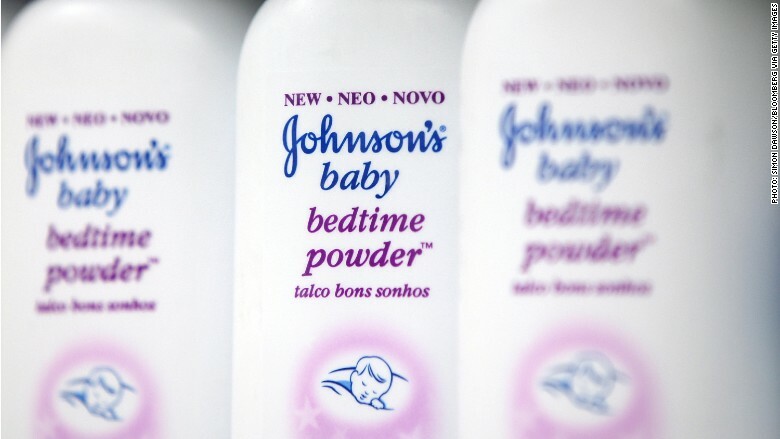 "The recent U.S. verdict goes against decades of sound science proving the safety of talc as a cosmetic ingredient in multiple products, and while we sympathize with the family of the plaintiff, we strongly disagree with the outcome," Carol Goodrich, a Johnson & Johnson spokeswoman, said in a statement sent to CNN. Talc is a naturally occurring mineral composed of magnesium, silicon, oxygen, and hydrogen. It's used to absorb moisture in many kinds of cosmetic products, from baby powder to make up. Scientists are divided over the potential risks of talc. Lawyers for Fox's family presented several studies they said prove the link between talc and ovarian cancer. Other studies say the evidence is too weak to make the connection. The American Cancer Society says it is not clear if products containing talcum powder increase cancer risk. The International Agency for Research on Cancer, which is part of the World Health Organization, classifies talc as "possibly carcinogenic to humans." Because products containing talcum powder are classified as cosmetics, they do not have to undergo review by the Food and Drug Administration. However, they must be properly labeled and "they must be safe for use by consumers under labeled or customary conditions of use," the FDA states.